Shipping Cost $6.10 Buy multiple items online from Splash of Styles to SAVE on shipping. This item in Traditional Necklace Sets category was first added to our catalog on 11-07-2017. 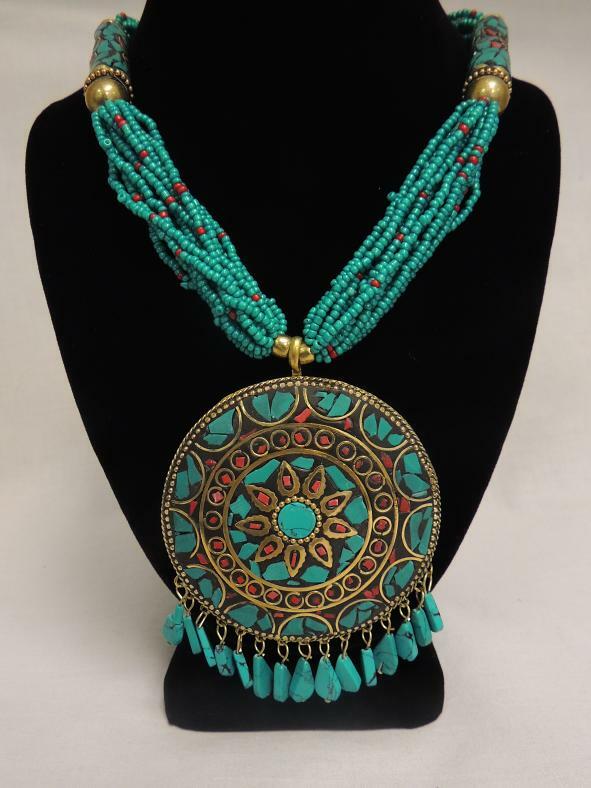 Buy Attractive Bead Seabreeze Necklace w/ Large Round Pendant, sold & shipped by Splash of Styles where you can shop online for Shop for Latest Style Indian Clothing, Jewelry, Religious items & Gifts. This Round Pendant collection has been tagged as Necklace Set, Women Ornaments, Costume Jewelry.